The African Union Commission is sponsoring students who come from Africa to study in four new different institutes located in four African countries that are in four different regions of the continent. The new initiative is the brains of African Heads of State and Government of the African Union. The four institutes cover these thematic areas; Basic Sciences, Technology and Innovation (Kenya, East Africa), Water and Sciences including climate change (Algeria, North Africa), Life and Earth Sciences including Agriculture and Health (Nigeria, West Africa) and Governance, Humanities and Social Sciences (Cameroon, Central Africa). 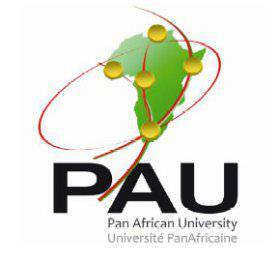 All the institutes are referred to as Pan African University, followed by the respective thematic area to differentiate them. This scholarship, which I am amongst the pioneer winners, would give you the opportunity to partake in a truly multicultural class of only African descent. In addition, a joint certificate will be awarded to you as all the institutes are hosted in established universities in the host countries. The scholarship is a juicy one as all expenses from your first flight to the country of your institute, tuition fees and monthly stipends throughout your programme will be sponsored. Application forms and details can be downloaded at www.pau-au.org/call. The closing date for the receipt of applications is 15th March, 2014.